Mary Meeker’s 2014 Trend Analysis unveils a number of critical changes emerging in media – mobile is far more important than weighted and advertisers are still significantly overspending in legacy media. 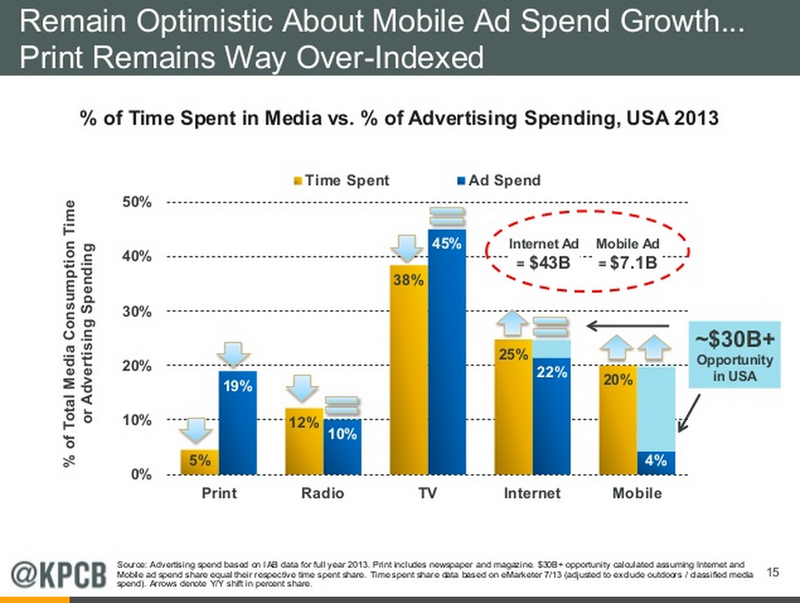 Accordingly, we will see major shifts in investment in digital and especially mobile advertising, and legacy – especially print and television continuing to lose advertising dollars. Print is over spent by nearly 400% compared to time spent with media.